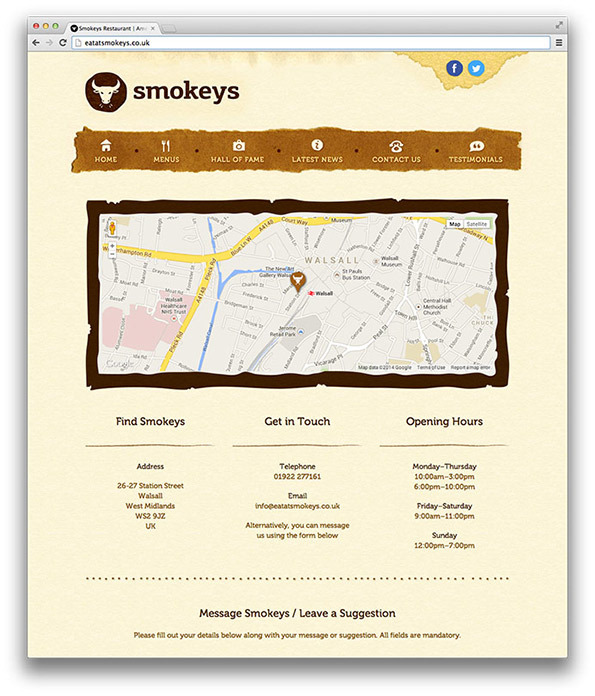 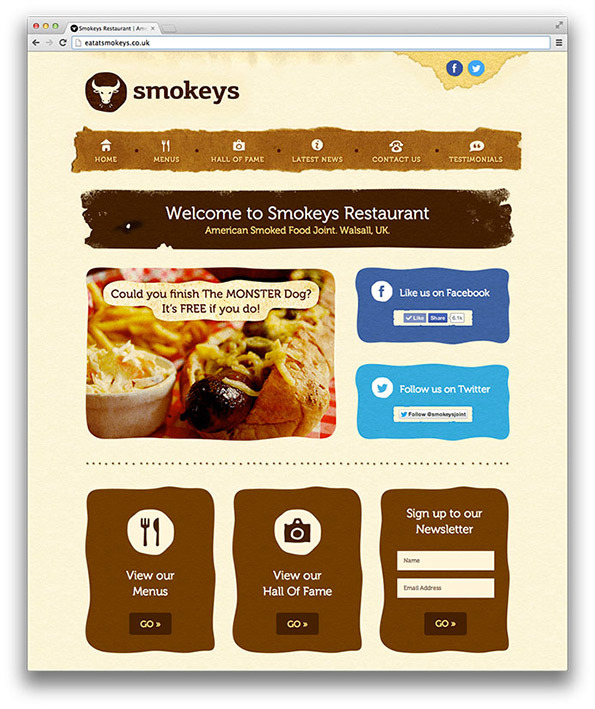 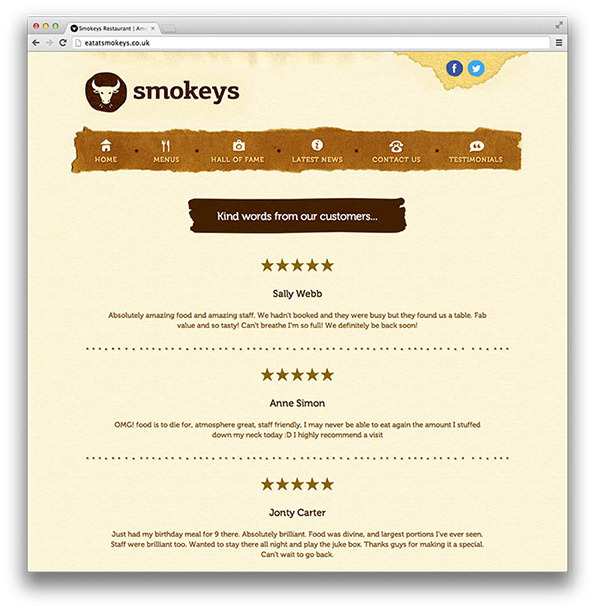 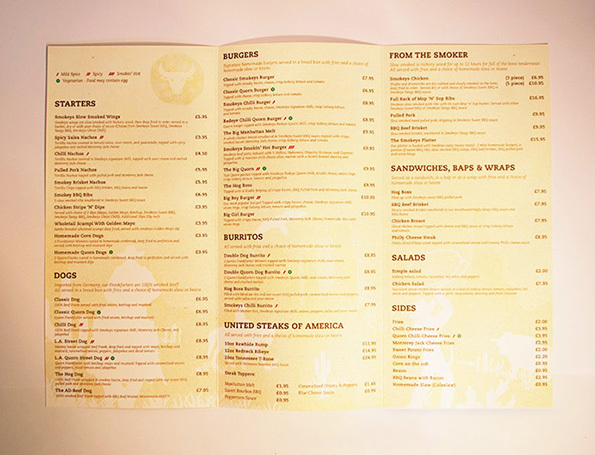 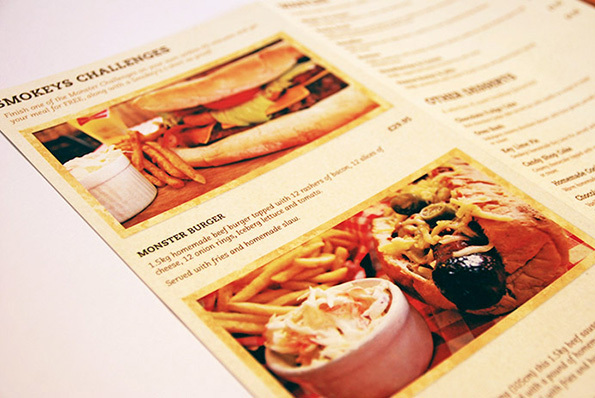 Smokeys, an American-Style restaurant based in Walsall, required a logo re-design and a visual identity establishing across printed materials, exterior signage and a new website. 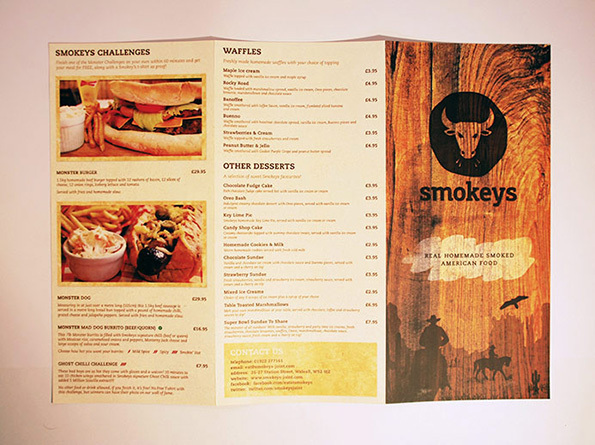 The primary objective was to connect with Smokeys' target market, representing the traditional American food the company offers but with a modern twist to appeal to the younger demographic. 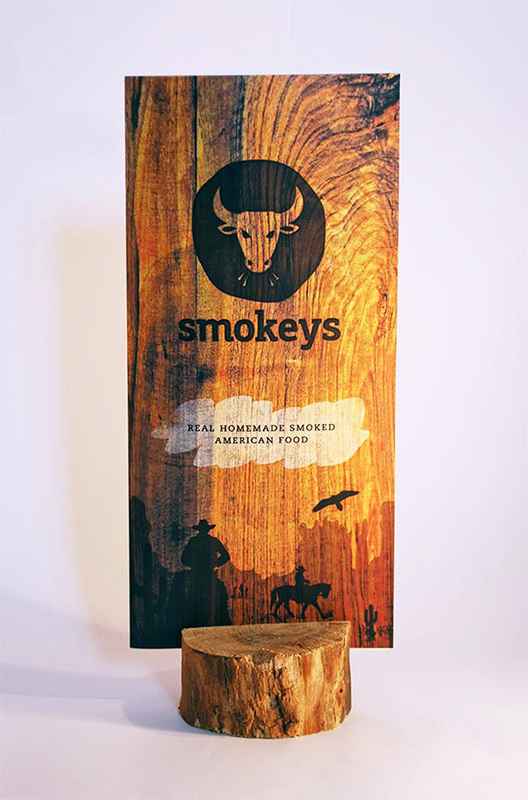 The logomark is based on branding irons used to leave a mark on livestock. 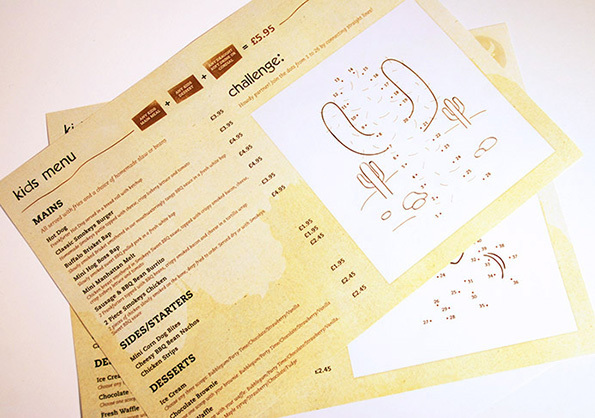 This along with the lower case slab serif logotype gives a rustic aesthetic whilst the crisp vector lines leave it feeling fresh. 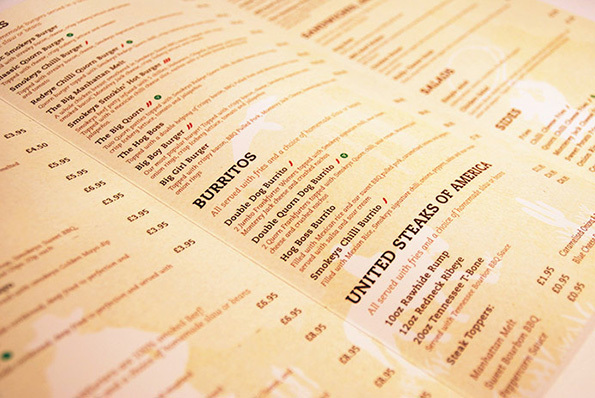 Once the visual identity had been signed off, it was implemented to new menus, flyers, external signage and accross social media channels. 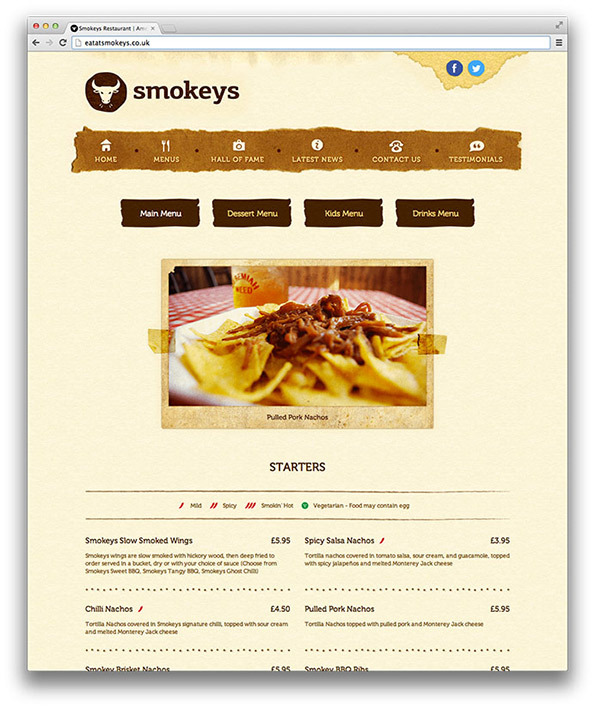 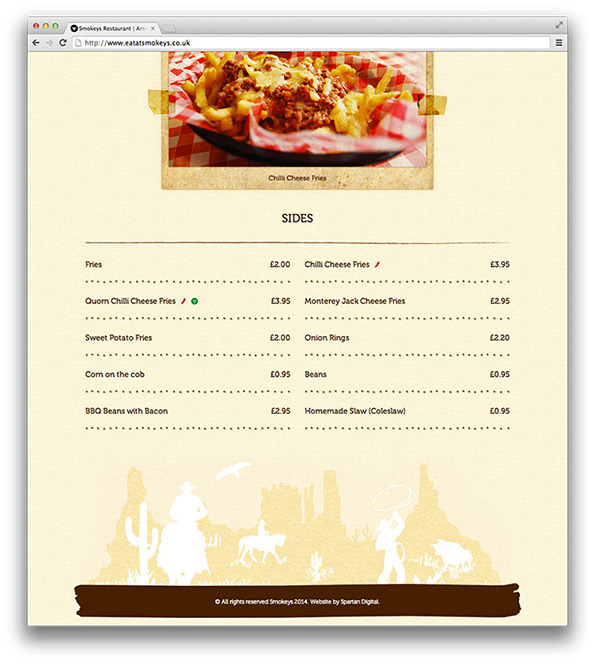 The website was next, built with a custom Content Management System as it needed to be easily editable by the client. 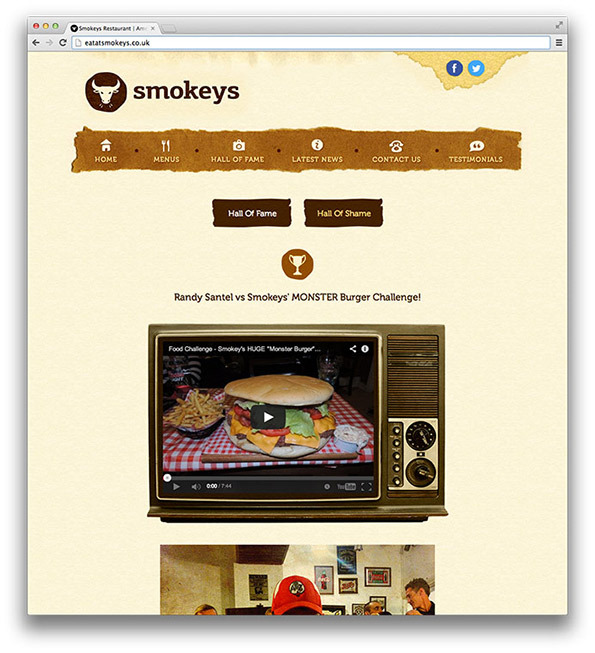 Smokeys' new identity combined with increasing press exposure has helped move the company forwards, with people visiting from as far away as America to tackle the 'Monster Challenges'. 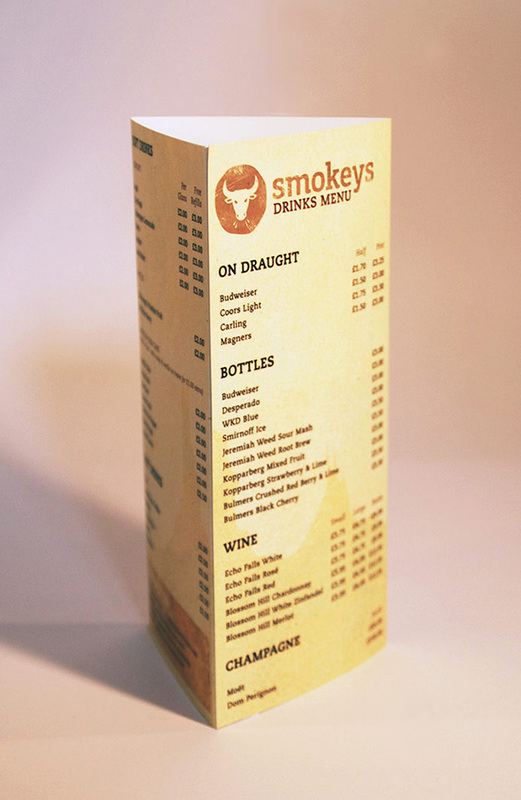 Design and photography by Laurie Stoddart.